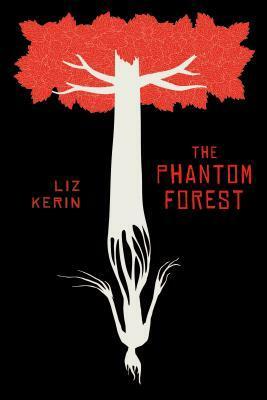 Note: I received an advance copy of The Phantom Forest by Liz Kerin to review. However, I had already pre-ordered it and have attempted to be unbiased in my review. The Phantom Forest is a supernatural story set in a complex world of blended cultures. It takes place in Khronasa: a small spiritual nation without modern technology conquered by a post-industrial empire. The narrative follows Seicha, a young woman who lost her parents during the invasion and has since raised her younger brother. She’s resolute and resourceful, but also naïve. Seicha’s story is epic, though to describe much of her experiences here would be spoileriffic. What I will say is that events pit her not just against the invading empire, but the very underworld itself. Forest of Laida houses a soul. Though each of those souls will return to the mortal world for many future lives, not all of them deserve to. The Phantom Forest is well-structured and paced, with characters who are complex and interesting. The setting, too, is well-realized, with a fresh new take on gods and the afterlife. While every author puts their own take on things, so many novels come out recycling the same supernatural creatures it is always exciting when you find something that charts a different course. I will admit, there were several moments where I decided if Seicha’s younger brother died, I wouldn’t be too upset. However, that wasn’t because he was poorly written, but because he was behaving like the brash, stupid teenager he was. The book stands well as an individual story, but it is also a promising first salvo of a larger arc that will play out over at least one more book. During the novel we see substantial character development from the key players, but it’s clear they will go through a lot more before the tale is done (either that, or they are likely to die horribly in the next book). The Phantom Forest is great fun, provides a refreshing setting, and I happily recommend it. The Phantom Forest comes out in March. Look it up on Goodreads, or pre-order a copy from either Amazon or the publisher. PS: Haben rules, Miko drools.